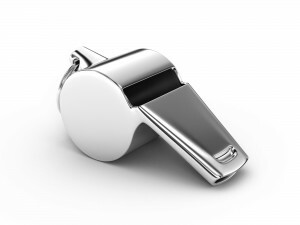 On Wednesday, an Alabama federal court judge refused to dismiss a whistleblower’s complaint filed against Safety-Kleen Systems Inc. (“Safety-Kleen”) under the False Claims Act. The Texas-based provider of environmental services, oil re-refining, and responsible cleaning solutions allegedly overbilled the federal government for cleaning solvents used by a military depot. More specifically, the suit alleges that Safety-Kleen repeatedly billed Northeast Alabama’s Anniston Army Depot for the total potential amount of solvent used each week to clean military equipment, including unused non-spent solvent that the government had already paid for. Safety-Kleen earned nearly $635,000 over the life of the contract at issue, which covered a period extending from August 1, 2008 through July 31, 2013. The PD680II solvent was used at the Army Depot to degrease tanks, vehicles and small arms returning from overseas combat. Pursuant to the contract, Safety-Kleen serviced both government-owned and Safety-Kleen-owned parts cleaners located at the Depot. In terms of the government-owned parts cleaners, the contract called for Safety-Kleen to perform a “Solvent Cleaning Service” by providing the Depot with 146,288 gallons of solvent at a price of $4.34 per gallon. The contract also called for the furnishing of all labor, materials, equipment, and services as needed for the servicing or solvent replacement of existing parts cleaners. In terms of the Safety-Kleen-owned parts, the contract provided that the company would perform a “Vat Rental and Solvent Cleaning Service” while performing all services necessary for repair or replacement of parts. Additionally, the Contract explicitly required Safety-Kleen to report all of its manpower, including any sub-contractor manpower, required for performance of the contract at no additional cost to the government. The contract also included tables listing each of the government-owned and Safety-Kleen-owned parts cleaners, the amount of solvent necessary to fill each parts cleaner, and the frequency at which Safety-Kleen was to service each parts cleaner. From 2008 until February 2011, qui tam relator Kenneth Hutchins was the Lead Material Handler at Safety-Kleen’s Dolomite facility. Hutchins maintains that although the contract required Safety-Kleen to deliver a fixed amount of solvent to the Depot, it actually provided a smaller amount, and then billed the Depot for the full amount contemplated. The complaint, filed in April 2010, refers to a 2009 incident where up to 3,260 gallons would have been needed to refill the solvent for the service parts used that day. But since a significant amount of previously installed solvent had not yet been used, a Safety-Kleen service representative only delivered 880 gallons of fresh solvent. The company, however, allegedly still billed the government $17,000 for the full 3,260 gallons. According to the court, “the crux of the parties’ dispute is a disagreement over the meaning of the contract.” Hutchins argues that the contract required Safety-Kleen to remove and replace the existing solvent in each machine at every service visit and that the Depot agreed to pay Safety-Kleen only for the number of gallons of fresh solvent actually delivered. Safety-Kleen, however, contends that the contract is a service contract rather than a sales contract. Hutchens testified that Safety-Kleen’s Dolomite Facility branch manager told him that he felt like Safety-Kleen “was getting over on the Depot because they could go in and service a machine . . . and only put two gallons in but bill them for 45 gallons.” Hutchins also testified that when he repeated the branch manager’s statements to one of the company’s district managers, he was told that that is “just the way it is sometimes.” The judge found that by testifying that Safety-Kleen management told him that it knew the contract required Safety-Kleen to put a fixed amount of solvent into the parts-cleaners when it serviced them, rather than merely top it off, and failed to do so, Hutchins submitted admissible evidence that Safety-Kleen knowingly failed to fulfill its duties under the contract. Put differently, Hutchins had submitted evidence a reasonable jury could find indicates Safety-Kleen knowingly defrauded the government. That finding is thus sufficient to avoid Safety-Kleen’s motion to dismiss. Unlike private contracts between parties, government contracts present challenges in terms of policing compliance. The False Claims Act therefore aids the government in deterring such fraud. Liability under the Act covers false claims made in association with government contracts, including: overcharging, the substitution of inadequate materials, and false certification of compliance with a contract’s terms.